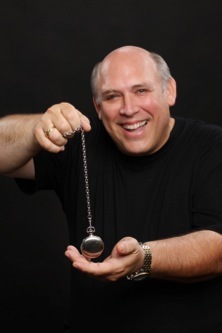 I have been performing stage hypnosis shows throughout the United States & Canada for the past 20 years, developing one of the top stage hypnotist shows in the country. My performances are unique, & hilarious, ranging from g-rated to r-rated shows. I have performed at Corporate Events, Comedy Clubs, Conventions, Colleges, High Schools & State/County Fairs. I also make sure that I educate people about hypnosis and get rid of the mysterious and degrading myths that surround this natural occurrence. The audience gets to witness the entire hypnotic process starting at the induction. Everybody reacts differently so no two shows are alike. My performance is 60 - 90 minutes of pure fun and laughter and I personalize the performance to fit any event!! You will be thrilled as you watch participants forget where they live or even who they are, greet long lost family members, listen as Martians converse through a translator, laugh uncontrollably at the worlds greatest mathematician, or you might see men become Chippendale dancers, the women become the Dallas Cheerleaders, or even watch the hilarious missing wallet trick. This show is as much fun for the audience as it is for the participants! I am currently based out of the Atlanta area, and I am available for booking anywhere in the USA and Canada, you may contact me at 703-347-5746 to schedule an event with me or just e-mail me. Today in our office, we were still talking about that amazing show you did for our company event at the zoo a few weeks ago. I was surprised at how many people did not even believe that hypnotism was real, but after that night, you made quite a few believers out of them! It was truly the funniest thing I have ever seen and I was so glad to be up front to see and hear every detail of what the subjects on stage said and did. You did such a wonderful job and it was done so professionally well. I know as soon as we announced to the guests that our entertainment for the evening was going to be a hypnotist, our executive management team may have been a bit concerned as to what you would have the people on stage do, but they quickly learned, as did I, that what you did was very tasteful and innocent. It was the perfect type of entertainment for a corporate event. I realized that essentially, all you did was pose multiple scenarios to the subjects and made them believe that without a doubt, it was true and really happening. They only responded based on the fact that in their minds, it was reality and what they said and did was because they believed it as the absolute truth. I saw that they were aware the audience was out there, so their responses were sort of restrained to a certain point but even with that, their comments, reactions and innocence of it all made it all the more hysterical! I hope that we can bring you back again every year for our company event because this is the type of show that never gets old! Don has been with us at our After Prom Party for the past seven years. Every year he puts on a great show and the buzz of how creative and fun his show is keeps our kids coming back for more every year (and staying the entire night at our event!). The high school students (and parent chaperones) can't stop laughing through the solid 1 1/2 hrs. of entertainment Don provides. Great times! Great laughs! Great memories!! compliments from all the kids we have talked to about you. Hats off to you on a job well done. It was a pleasure meeting you. Thank you so much for entertaining us. until they were in tears! You have certainly given us something to remember! “Don The Hypnotist’s” show was the highlight of our Post Prom Party. His show was tasteful, age appropriate, and fun. enjoyed the show so much, at times we were laughing so hard we cried! We would definitely welcome Don back for another show.